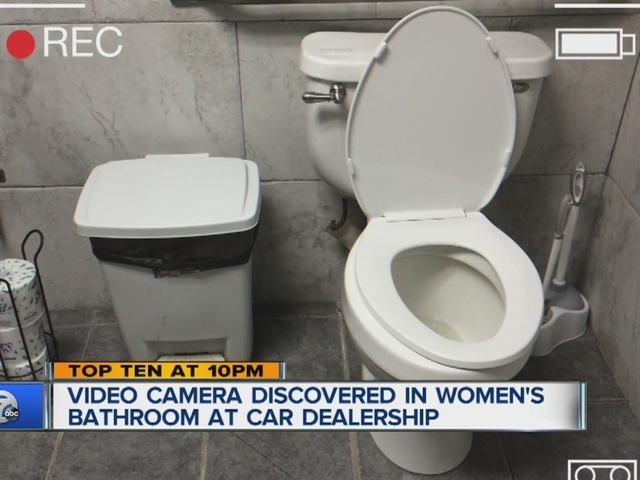 A small video camera was discovered inside the women's bathroom of a Michigan car dealership and now a criminal investigation is underway. There's still disbelief at Szott Chrysler Jeep in White Lake. 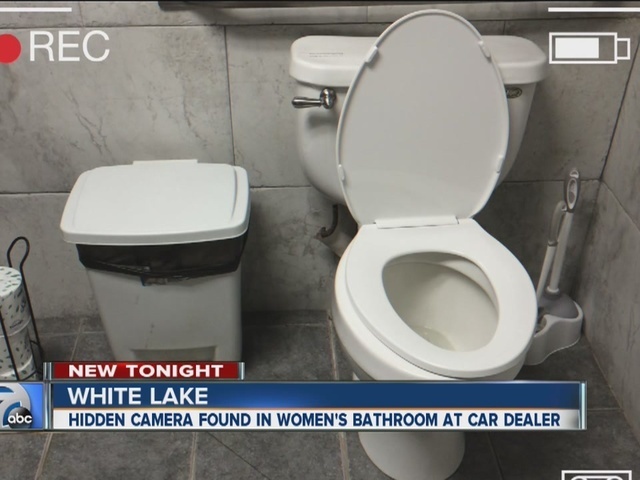 Owner Thad Szott can't believe a small camera was found inside this women's bathroom near the pre-owned section of the dealership. Investigators tell Detroit-based WXYZ it was recording. Szott tells WXYZ,"We work so hard in building trust with the community. We've done so much good over the years. It's disturbing and disappointing. It's a tough day." Detectives are trying to figure out how long the small spy-like camera was there, and what kind of images are on it. A female worker was inside the bathroom, and at first, thought someone left a cell phone behind. When she checked closely near the back of the stall, investigators say she saw the camera. It was immediately turned over to officers.